13" center to center distance between glide kit. 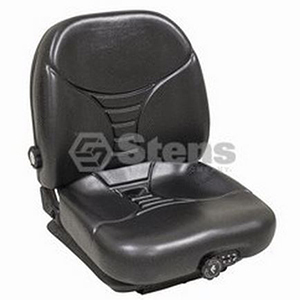 Ask us about the Stens 420700 Low Profile Suspension Seat. Please no repair questions. Your Q&A may be posted to Jackssmallengines.com to help other shoppers, like you, with their purchasing decisions. Thank you. Will this seat fit a Cub Cadet XT2? Vernon, I would recommend comparing the seat specifications with your current seat to see if it would be a compatible fit. This seat has a 13" center-to-center distance between glide kit, and 11-3/8" center-to-center distance between studs.